Sorry everyone for not being around for awhile, life has been super busy as we all know it can be at times and I just came home from vacation. 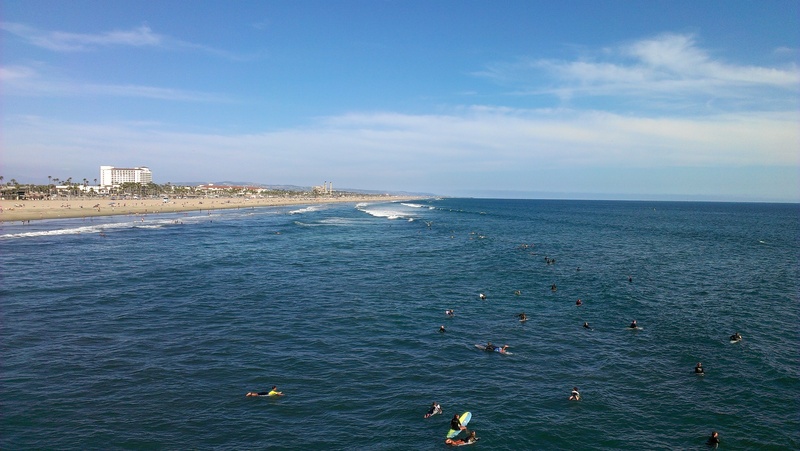 We had such a wonderful time in Huntington Beach. The weather was never over 80 and the sweet ocean air is just to die for!!! I ran on the beach, cruised on bikes for hours, ran on the beach some more and just relaxed and had a good time with good friends. Before we went on vacation I had a goal to 1. wear a dress to our friends wedding and feel comfortable and confident and 2. run two miles on the beach. I was able to do both YAAAY Me!!! Running felt so good on the beach, normally it is such a struggle for me. I ran without music and just took in the sounds of the waves, enjoyed the nice cool water crashing into my legs making me do high knees at some points because it got deep, and breathed in the crisp clean air, it felt SOOO Good!!! 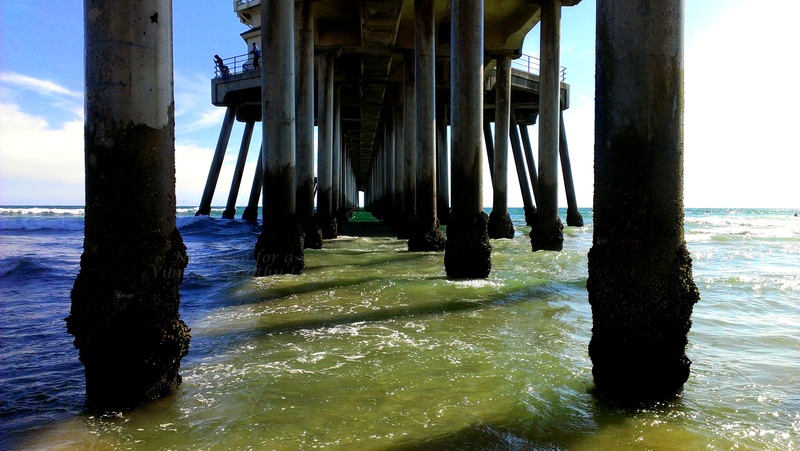 I ran to the pier and took a couple of great shots….. I loved me dress and I felt so beautiful in it. One of my favorite times was riding around Huntington Beach at 1 in the morning and then getting lost, what should have been a 5 mile ride turned into like a 12 mile ride it was so much fun and a good workout!!! Waking up to the sound of waves every morning was such a treat, I already miss it, coming home to 113 degree weather is not my idea of a good time but it does feel good to be home with my boys and my friends, they are a big part of my life and I missed them…..
Now back to reality, paying bills and working. I feel grateful for the time that Robert and I got to spend at the beach together we had so much fun. One day we will make living by the beach a reality for us!!! Posted in Good Times and tagged BEACH, GOOD TIMES, Huntington Beach California, Vacation. Bookmark the permalink.